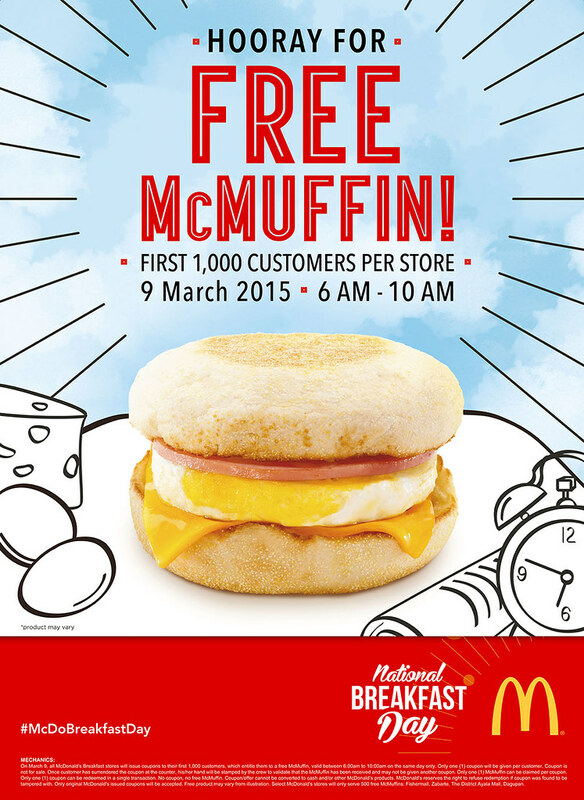 Free McDonald's Egg McMuffin on National Breakfast Day! Mark your calendars! 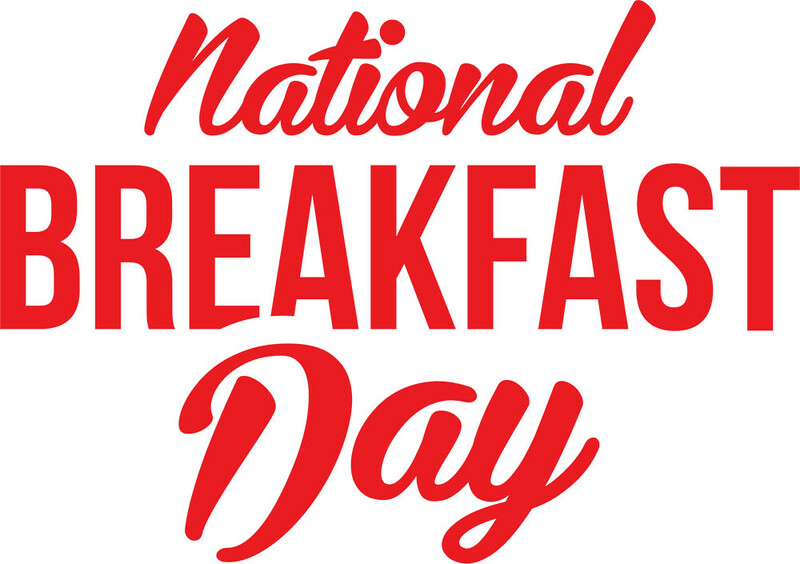 On March 9, McDonald's celebrates the "world's biggest breakfast" where all participating McDonald's restaurants nationwide and in other countries will give away a free McMuffin to the first 1,000 customers starting 6:00 in the morning. Customers may line up at the front counter or go for a Drive Thru for their free Egg McMuffin. 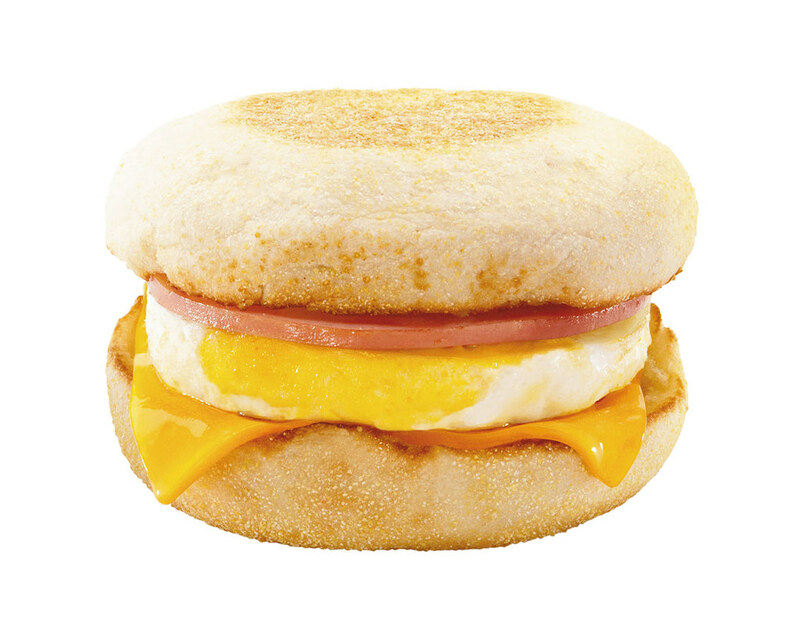 The Egg McMuffin is made with high quality ingredients from its freshly cracked Grade A eggs, lean Canadian bacon, melted cheese, and toasted English muffins. Don’t let this opportunity pass for a free breakfast treat! Grab your Egg McMuffin at any McDonald’s participating store on the 3rd National Breakfast Day, March 9, starting 6:00 a.m.
For more information visit www.mcdonalds.com.ph, like the official McDonald’s Facebook Page, or tag @McDo_PH on Twitter and Instagram. You can also share your breakfast moments at McDonald’s by using the hashtag #McDoBreakfastDay.